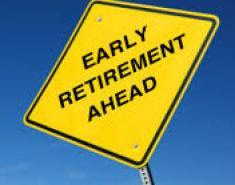 Welcome to the 2nd post in my Series on Planning for Early Retirement! I am by no means an expert on this subject but I would like to share what Joe and I learned in preparing for our own Early Retirement. First, I want to thank Sinea, over at Ducks N' a Row, for featuring my post, What We Learned About Social Security: Planning for Retirement, as among the" Very Popular" from last week's Wonderful Wednesday Blog Hop! Thanks so much for Sinea and all the others hosts of this great party!! Please take some time to stop by and link up!! 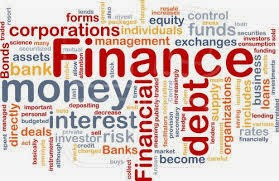 I was originally planning on addressing the use of a Financial Planner for this post but because of some of the wonderful comments that I received on the first post and because of some of the questions asked, I thought I would look more into Social Security for all Woman and not just for me and my personal situation. 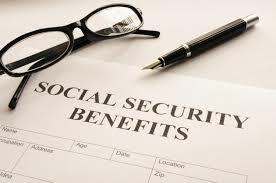 Carol stated " Married couples can not take both SS checks"
This comment was something I had not heard about because my mother, Joe's mother and several of my co workers that retired ALL received their own Social Security check in addition to their husbands. "What Women Should Know About Social Security"
If you’ve worked for at least 10 years and earned a minimum of 40 work credits, you are vested in the Social Security system. 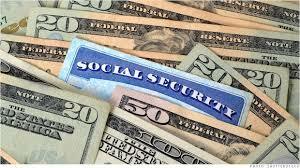 whether you’re married or not and whether your husband collects Social Security or not. year base of earnings. If you don’t have 35 years of earnings, we must substitute “zero” years to reach the 35 year base. If you become disabled before your full retirement age, you might qualify for Social Security disability benefits if you’ve worked and paid Social Security taxes in five of the preceding ten years. 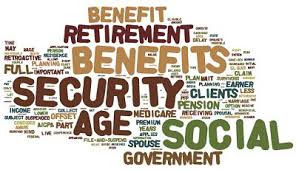 If you also get a pension from a job where you didn’t pay Social Security taxes (e.g., a civil service or teacher’s pension), your Social Security benefit might be reduced." There is a lot more information on this fact sheet so please click HERE to read!! "What Every Woman Should Know"
This Phamplet is for women of every age and go over a wide variety of subjects such as Divorce, Disability, Limited Income, Widows and of course, Retirement! "What every Stay at Home Mom Should Know about Social Security and Medicare"
"It sure would be nice if those years as primary caregivers of young children weren’t so potentially damaging to a full-time parent's future Social Security and Medicare benefits." " Here’s the rub: A person’s Social Security benefit—which is the value of the monthly check she will receive in old age—is based on having a total of 35 years of paid employment. F or each year worked, a certain number of “credits” are provided. You need to have 40 credits to be eligible for your own Social Security retirement and Medicare health insurance benefits. (At the current four credit maximum per year, that requires at least 10 years of employment.) To calculate the value of a person’s retirement benefits, the Social Security Administration totals the earnings from the highest 35 years of income, and then divides that number by 35. Using various rate sheets and tables, that sum is then translated into a benefit. Men generally have no problem meeting or exceeding a work-life of 35 years (unless of course they die). Women have a tougher time." This article explains that in order for a woman to receive her own Social security check, she must work a minimum of 10 years ( 4 credits per year) to receive 40 credits over a 35 year span to obtain benefits. "How Stay at Home Moms ( Dads) Lose Their Social Security Disability "
" Once a person leaves the work force for more than 5 years, Social Security Benefits evaporate. Simply put,The money you paid into the system is gone, returned to the "pool" for others to use!" Click HERE to read this interesting article! Unfortunately, those women that chose and were able to financially stay home when their children were born will not fare out well when looking to receive Social Security benefits in retirement unless they later returned to the work force and worked at least 10 years total in a 35 year span. "A wife is due between one-third and one-half of her husband’s Social Security. Most working women who reach retirement age get their own Social Security benefit because it’s more than one-third to one-half of the husband’s rate." So even though a woman may not have worked outside the home, she can get a Social Security benefit through her husband but it may be very small. "Women and Social Security Benefits"
I am glad I heeded my mother's advice to " Never be dependent on a Man for anything especially money." She worked from the age of 16 years old to 67 years old. 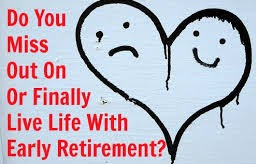 I will be touching on developing a Plan for Retirement! It is never too early to develop such a plan!! I wish we had started on our plan earlier but better late than never!! So I hope you will be back to visit soon!! Front Yard Garden Notes for Next Year: Learning from My Mistakes!! I thought I would show you how the flowers that I planted in the front of our house fared out this Summer even with record breaking heat and humidity!!! Here are the Before, Afters, Mistakes and hopefully, Solutions!! This is only one begonia!!! Dusty Millers took over the urns!!! Plant urns with 3 begonias only( I think these urns will look amazing with only begonias planted in them since the begonias have done so well!! So I hope to learn from my mistakes and possibly save a little money next year by buying more flats of just a few different flowers and not buying single geraniums which did not do so well in the front of the house. And hopefully, it will not be so darn HOT next Summer!! Look at those Black Eyed Susans!!! And Joe took this photo of a hawk sitting on our street light the other morning!! You can see how big it is because it is almost as big as the light!! In my next post, I will continue my Series on Planning for Early Retirement with a post on What Every Woman Should Know About Social Security! !